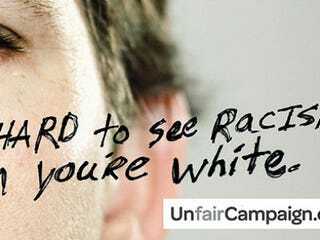 "Hard to See Racism When You're White" billboards controversial in Duluth: It's no huge surprise that this unusually blunt ad campaign caused a stir in Minnesota. The goal was to "foster a community dialogue." Mission accomplished? How long can Syria's first family cling to power? Slate provides an illustrated guide to the Assad clan as the family spirals toward civil war. Denzel Washington talks about being waterboarded: In a conversation with Vulture, Washington said he was waterboarded during the filming of his upcoming action-drama, Safe House. "I wanted to see what it would be like. It's strange. You can't breathe in, because the water comes in, and it's filling up your mouth," said Washington. Jesse Jackson Jr. under scrutiny for mistress' plane ticket: Rep. Jesse Jackson Jr., who is facing a primary challenge from former U.S. Rep. Debbie Halvorson, may also face a new ethics investigation tied to a campaign donor's purchase of an airline ticket for a woman with whom Jackson was conducting an extramarital affair.